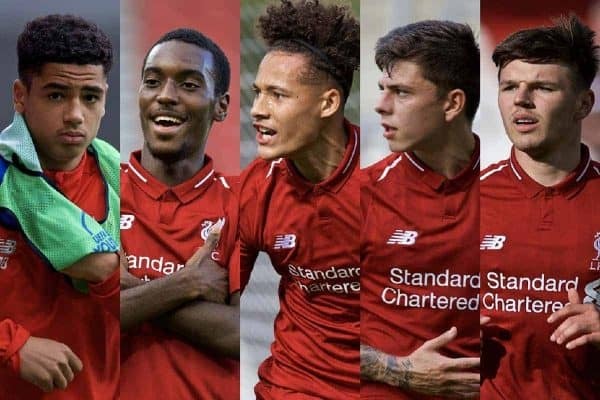 The U23s have struggled while the U19s and U18s have soared, but who were the 10 best performers in the Liverpool academy in the first half of the campaign? The young Reds have reached their mid-season break, with neither the U23s or U18s in action again until the second week of January, providing Neil Critchley and Barry Lewtas’ players a much-needed rest. Some may be called into Jurgen Klopp‘s first-team squad while they navigate their busy winter schedule, with Ki-Jana Hoever, Curtis Jones and Rafa Camacho currently regulars at Melwood. And the same applies to the U19s and U18s, who are pushing for success both domestically and in Europe, but with individual progress the key at Kirkby. So who has stood out since the season began in August, and who could be set for an even bigger 2019? 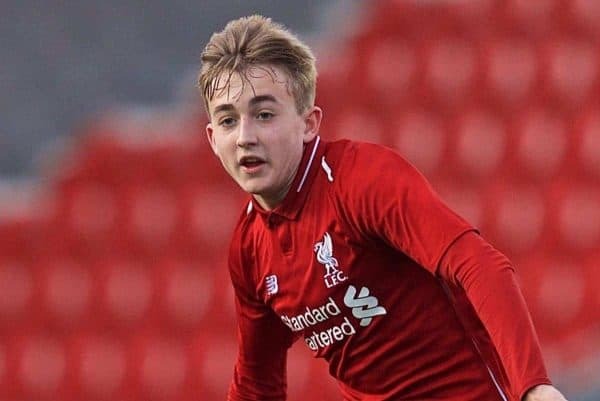 Here are the 10 best Liverpool academy players from the first half of 2018/19. With both Corey Whelan and Harry Wilson departing on loan in the summer, Critchley handed the armband to deep-lying midfielder Virtue, and he has thrived with the responsibility. Before injury, the 21-year-old was a staple of the U23s’ midfield alongside Pedro Chirivella and summer signing Isaac Christie-Davies, and was one of his side’s standouts. While Virtue performs the basics to a high standard, this season he has begun to add goals to his game on a more regular basis, and at the halfway stage is top scorer for the U23s, with six in 11 appearances. It could be that the ex-Chelsea youth is in line for a loan move in January, having spent the second half of last season with Notts County. 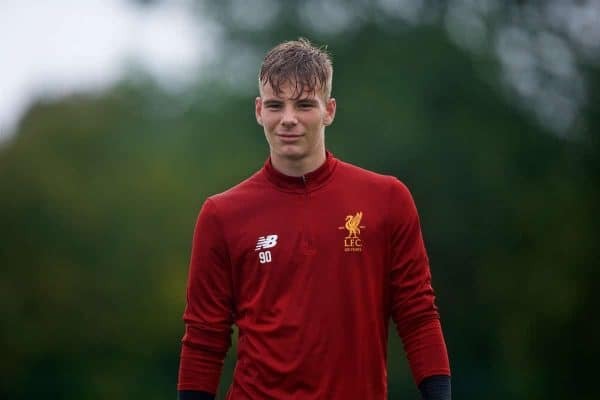 Liverpool boast a wealth of talent in the goalkeeping ranks, and beyond Alisson and Simon Mignolet, both Kamil Grabara and Caoimhin Kelleher are vying for a long-term role under Klopp. But perhaps more impressive this season is the U19s and U18s’ No. 1, Jaros, who has been Lewtas’ undisputed first choice for both the UEFA Youth League and the U18 Premier League. An intelligent, ambitious young stopper, Jaros may soon be challenging Grabara and Kelleher for a place in the travelling squad for first-team games. Away from the mounting, deserved clamour for Hoever in the closing weeks of 2018, Algerian youngster Larouci has been performing to a similarly high standard as he bridges the gap between U18s and U23s. 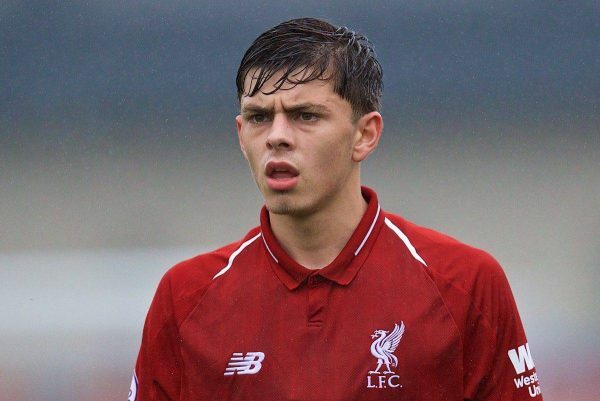 At just 17, he has now made four appearances for Critchley’s side, and scored a stunning strike as the U23s sealed a 3-1 victory over Hertha Berlin II in the Premier League International Cup in December. 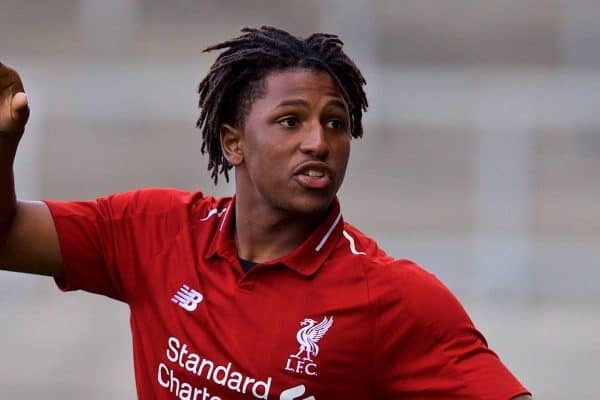 Larouci is swiftly honing his craft as a left-back, having initially begun his career at Liverpool further forward, and it would be no surprise to see him join Hoever at Melwood in the near future. 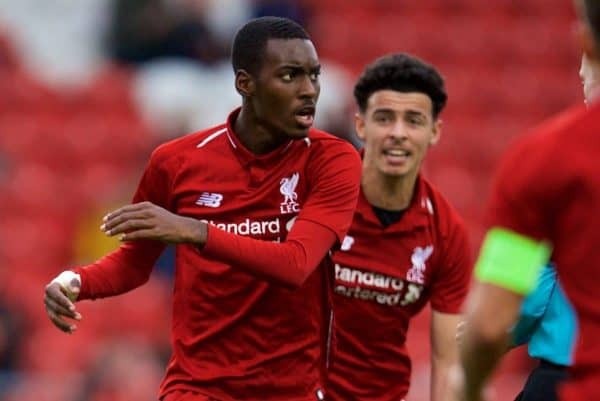 It is a bold comparison, and there is a clear gulf in quality at this stage, but watching lofty U18s defender Williams in action evokes clear similarities with first-team counterpart Virgil van Dijk. The Preston-born youngster towers over team-mates and opponents alike, dominates in the air, copes well on the ground and provides a composed option in possession, as well as contributing at the other end of the pitch. Critchley is beginning to trust him at U23 level, which is high praise for a 17-year-old centre-back, and it will be interesting to see if he can shift any of George Johnston, Conor Masterson or Nat Phillips to become first choice in 2019. There has been little outside interest in versatile midfielder Cain so far this season, but he has been one of the cornerstones of the U18s’ devastating attacking game. Combative, tactically flexible and hugely creative, the teenager has already laid on 10 goals in 17 appearances for the young Reds, dovetailing effectively with the duo of Paul Glatzel and Bobby Duncan. Given this is his first term with the U18s, having stepped up from the U16s in the summer, this is particularly impressive. Speaking to LiverpoolFC.com in December, Lewtas described Cain as “someone who buys into the style of football we are trying to produce then replicate on a matchday,” which should bode well for his future. Having made his U18s debut in September, U19s debut in October, U23s debut in November and been promoted to first-team training in December, it could be argued that Hoever deserves to be higher up this list. But despite his incredible progress since joining from Ajax in the summer, it remains very early in the Dutchman’s Liverpool career. 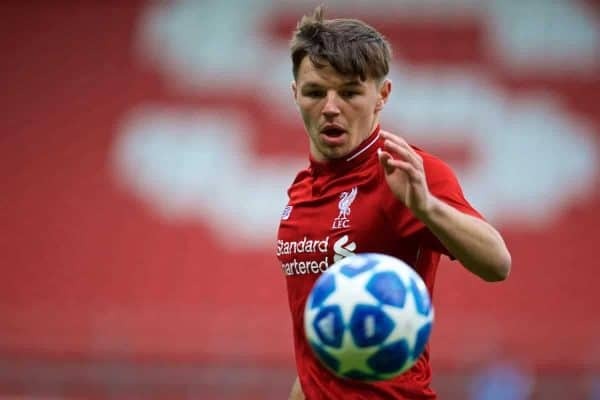 Regardless, Hoever looks to have everything required to develop into a top-level defender, with his front-footed approach, incisive passing and ability to play both centre-back and right-back clearly piquing Klopp’s interest. 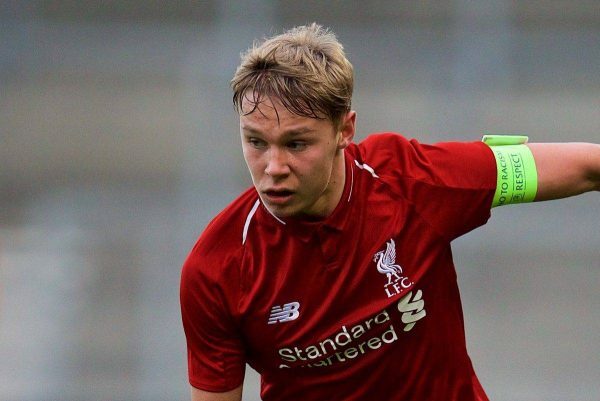 Lewis only turned 19 in November, but is already one of the senior figures in Critchley’s U23s squad, having stepped up from the U18s midway through last season, as well as wearing the captain’s armband for the U19s in Europe. 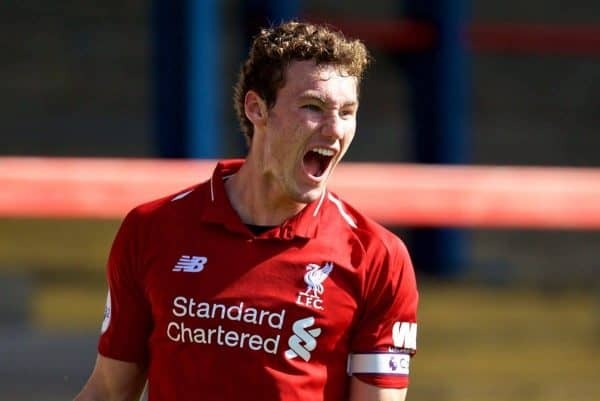 And though the U23s have failed to fire throughout the first half of the campaign, the Scouser has continued to shine, whether deployed in his regular role at left-back or filling in as part of the midfield. With Alberto Moreno expected to leave Liverpool at the end of the season, Lewis is perfectly primed to step up as Andy Robertson‘s deputy. 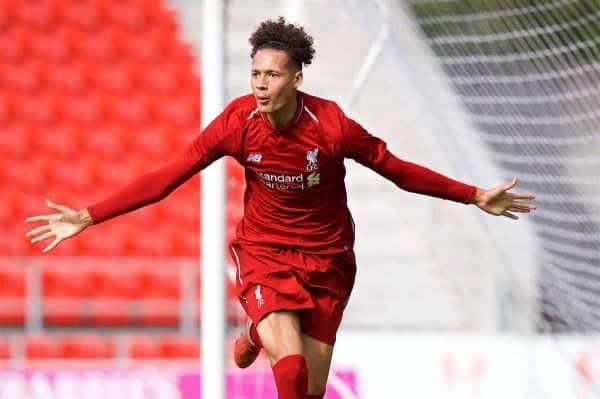 After both he and Jones made their mark for the first team during pre-season, Camacho has gone from strength to strength as he benefits from both regular football in the academy and training at Melwood. Dividing his time between roles, as either a right-back or on either flank, the Portuguese has been one of the most regular sources of goals for both the U23s and U19s—second-top and top scorer respectively. That he has done so while barely training alongside his young team-mates is remarkable. While Jones struggles for consistency when called upon, Camacho now looks next in line for a debut under Klopp. 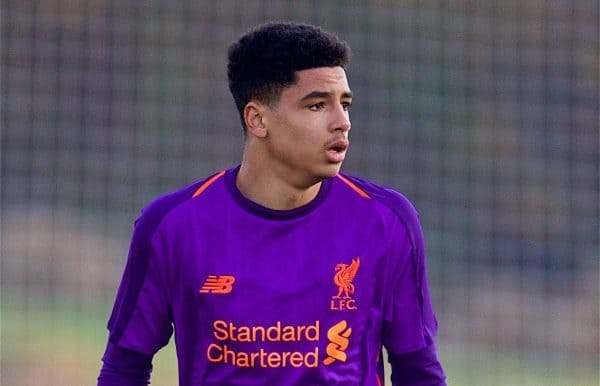 Joining from Man City in the summer, Duncan arrived with a strong reputation—not least due to his cousin being Steven Gerrard—but the Whiston native has already exceeded expectations. A busy, poacher-type striker, the 17-year-old has netted 19 goals and assisted a further 11 in 23 games for the U18s and U19s, outscoring the likes of Mohamed Salah, Sadio Mane and Roberto Firmino. That he doesn’t take top spot in this list is testament to the performances of his strike partner, but there are big things to come from Duncan in 2019 and beyond. After an injury-ravaged campaign that limited him to two starts and seven substitute appearances for the U18s last time out, Glatzel has responded incredibly in 2018. Now Lewtas’ captain, the dual-heritage striker has been the young Reds’ talisman, leading the line with an all-action approach: pressing, creating and finishing with distinction. Though he has scored two fewer than Duncan, it is his all-round play combined with his 17 goals in 19 games that earn Glatzel’s place as No. 1. Strangely, he is yet to be given an opportunity at U23 level—while Duncan, Cain, Hoever and even his backup Fidel O’Rourke have—but this could be a blessing in disguise as he heads into the new year.